Bringing a drug to market entails expensive and time-consuming clinical trials and rigorous drug testing, a function that used to be the domain of either the drug manufacturers’ in-house units or academic research institutions. To cut costs, some drug companies have turned to contract research organizations, or CROs, which are private outfits with research capabilities — and apparently strong connections and deep pockets. CROs usually employ a strictly-business approach to clinical trials and promise the drug maker speed and efficiency in getting the drug approved by the United States Food and Drug Administration. Today CROs are getting more and more of the jobs that universities used to do. But questions have been raised about CROs’ methods and the lack of government oversight on their operations and methods. This interactive graphic tracks and compares two parallel paths to drug approval — one by a traditional academic lab, and the other by a CRO. Both have to get over the same hurdles but the CRO manages to skirt some of them and reach the approval phase quicker — exactly what drug manufacturers want. This graphic for the Web originated from an information graphic I produced in early 2007 which was published in the Milwaukee Journal Sentinel. 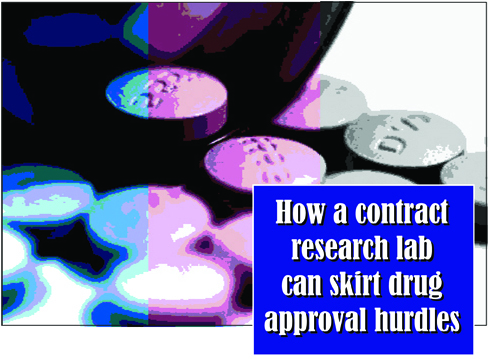 The print graphic was part of a special report put together by the paper on the drug approval process. Watchdog reporters Cary Spivak and Susane Rust wrote the articles. I love your intriguing blog. Excellent information. I hope you release many. I will continue reading. Once a final monograph is implemented, companies can make and market an OTC product without the need for FDA pre-approval. New prescription drugs, on the other hand, require pre-approval before they can go on the market.